Our experienced staff shares with our patients their committment to clinical care and their knowledge of healthcare management. You will interact with all members of our staff, and we are all here to ensure that your visit to our office is pleasant and professional. Gloria completed her bachelor's degree in accounting from the University of West Florida. She brings over 25 years of medical office billing and insurance experience having worked with both primary care and specialty physicians' offices prior to coming to Torres Hodges Podiatry in 2008. She became a certified administrative podiatric medical assistant, PMA-C, through the American Society of Podiatric Medical Assistants. Her hobbies include painting, cooking, and shopping. She lives in Pensacola with her son. Mike is originally from Maryland. He joined the staff at Torres Hodges Podiatry in 2003 and is a licensed Florida Podiatric X-ray Technician in addition to his managerial role. Mike is an independent business consultant with extensive knowledge in medical office administration, health insurance and risk management. He has been a licensed State of Florida Health & Life Insurance Agent. As a former health benefits contracts specialist and program analyst with the Federal Employees Health Benefits Program, he brings a broad base of knowledge and over 35 years of administrative experience to our practice. While at the United States Office of Personnel Management, he completed the Health Insurance Association of America Parts I & II with honors. Outside of the office, he is a certified business coach through the PGI Institute and guides other entrepreneurs to help their businesses to Change and Prosper. Mike loves to read and is an avid sports fan. He and his wife live in Pensacola with their two children. Adam's hometown is Andalusia, Alabama. He is a licensed Florida podiatric x-ray technician and a became a certified clinical podiatric medical assistant, PMA-C, through the American Society of Podiatric Medical Assistants. He joined the staff at Torres Hodges Podiatry in 2006. He completed both his undergraduate and graduate studies at Troy State University. While at Troy, he worked with the sports medicine department and served as an athletic trainer. He also holds additional licensure as a pharmacy technician. He is a fan of college football and NASCAR and enjoys woodworking and fishing. He and his wife live in Pensacola with their two daughters. Dr. Torres-Hodges has been sharing her knowledge with the next generation of physicians as faculty to the medical students and residents at the Florida State University College of Medicine, Uniformed Services University of the Health Sciences - Eglin AFB and Navy Hospital-Pensacola and Kent State University's College of Podiatric Medicine. She has been an invited speaker at national conferences on subspecialty topics of podopediatrics, diabetes and integrating technologies into private practice. She is a featured speaker for Get Healthy Pensacola, and enjoys the opportunity to teach directly to her patients in the exam room as well as to both professional and public audiences through her lectures, journal articles, appearances on television and question/answer columns. She offers insights to foot health in articles that have been featured in publications including the Real Simple, Good Houskeeping, Family Circle and Prevention Magazine as well as in interviews with the Wall Street Journal and National Public Radio. Dr. Torres-Hodges is recognized as a U.S. Top Doctor by HealthTap as one of the world's best and most helpful online and mobile medical experts. She is a staunch advocate of preserving the doctor-patient relationship and the independent private practice of medicine. She supports the efforts of the Association of American Physicians & Surgeons and The Benjamin Rush Institute. She can be followed online @drgracedpm on social media networks. Dr. Grace was born in New York but calls Pensacola home. She graduated from Pensacola Catholic High School and is still remembered locally as a cellist and former member of the Pensacola Symphony and Okaloosa Symphony Orchestras. She has been involved with local organizations in the community including Pensacola Bay Impact100, the Anna Tringas Legacy Fund, and the American Diabetes Association. She is a former martial arts instructor and nationally ranked competitor with NASKA. She enjoys travel and photography and remains active in her church. She is proud of her family heritage and the traditions and values her parents taught her, particularly as both physicians themselves. 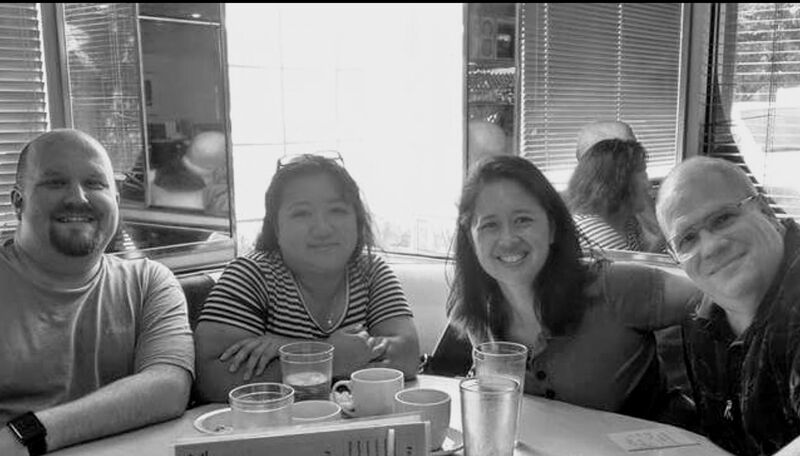 She was honored to share their immigrant story as part of the compilation book Filipinos in New York City. Above all, her most treasured time is spent with her husband, son and daughter. Dr. Grace Torres-Hodges is board certified by the American Board of Podiatric Medicine and is recognized as a Fellow of the American College of Foot & Ankle Orthopedics & Medicine. She completed her undergraduate studies at Vanderbilt University, and prior to going to medical school was pursuing graduate studies in sports medicine at the United States Sports Academy. Dr. Torres-Hodges received her medical degree from the New York College of Podiatric Medicine and was recognized as a FPME scholarship student and recipient of the Peer Award for the Fellow Student who Most Advanced Podiatric Medicine. At graduation, she was inducted into Pi Mu Delta and awarded the Board of Trustees Award for Excellence in Leadership. Dr. Torres-Hodges completed her post graduate residency training in both podiatric medicine and podiatric surgery at St. Vincent's Medical Center in Jacksonville, Florida. She maintains surgical staff privileges at Baptist, Gulf Breeze and Sacred Heart Hospitals as well as the Andrews Institute of Orthopedics & Sports Medicine.